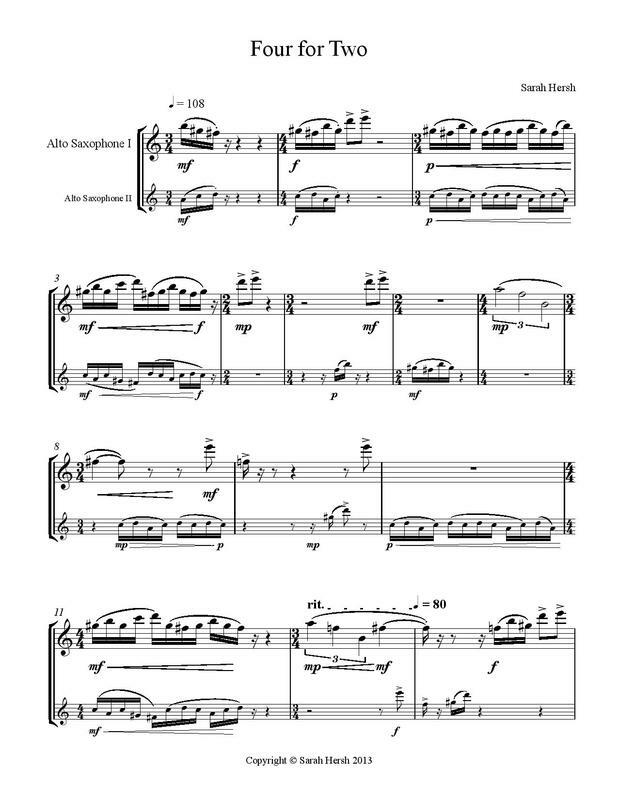 Format: PDF of the score/parts emailed manually within 24 hours of purchase. With one exception, disjointed fragments of three of the four main ideas of Four for Two are presented in the first fifteen seconds of music, foreshadowing everything that follows. As each idea returns in context and is fully realized, the incomplete thoughts that were voiced at the beginning of the piece are finally completed. The four sections of the piece were written for two saxophonists; Four for Two. Four for Two was written for Michael Bovenzi and Jonathan Helton in 2012. Watch a video of the premiere here.